In 2015, Joanna Penn hosted a talk at Nottingham Writers’ Studio on how to make a living from your writing. Her talk dispelled many of the myths around self-publishing and inspired me to pursue it too. Sadly, many of these myths still remain. They often—but not always—stem from outdated information and literary snobs who don’t like it when the status quo is challenged. And to them, I say tough. Things change. Move with the times or fall behind, it’s up to you. No. No it’s bloody well not. I spent EIGHT HOURS one Sunday just formatting books. And I didn’t even finish. The more elements of the self-publishing process you do yourself—and, because I’m broke, I do them all—the longer it will take you, and the harder you’ll have to work. It’s all these processes around writing that are the problem. They’re the reasons why it takes me so long to publish my books. I can write pretty damn fast. But the publishing process? Bleh. Self-publishing is most definitely not the easy path. With traditional publishing, pitching your work to an agent, then a publisher, is the hard part. All the design, copywriting, and even some of the marketing, are done for you. For the most part, once the edits are in, you can move on to your next book. With self-publishing, once you’ve finished writing your book, you need to double—possibly even triple—that length of time before you can share your work with your readers. You may also have to spend even more time on top of that to market your book. It’s possible to publish faster, but to do so, you need a nice chunk of change to spend on a graphic designer, editor, proofreader, book formatter, and whatever else you can delegate to someone else. Your average person just doesn’t have that amount of money. Really? You think a book going through a gatekeeper is a sign of quality? It’s a sign that it will (probably) make money. Literary books are generally of a high quality, but they don’t sell that well. It’s also highly unlikely that the book’s readers will be as loyal as those that read genres such as crime, fantasy, or romance. Pulp fiction is where the money is. Some pulp fiction is good, some of it is bad. It’s as much of a personal preference as anything else in life. Gatekeepers are not immune to the effects of personal preference. There are also books out there written (or ghost-written) by celebrities such as Katie Price. And while I can’t deny she knows how to market herself, she’s hardly J.K.Rowling (she may have her books ghost written, but I once saw her say in an interview that all the plots were her idea. I’ve honestly no idea how true this is. And while we’re on the topic, whatever happened to Katie Price? She seems to have faded into obscurity). The assumption that traditional publishers will do all of your marketing for you is one of the biggest myths when it comes to traditional publishing. The more a publisher pays for a book, the bigger the marketing budget. Unfortunately, unless you already have a big platform, it’s pretty unlikely you’ll get a fat cheque or a decent marketing budget. Publishers pay more for celebrity books—and market them heavily—because they already have an audience. They know the books will sell if they reach the right people. The lower the risk, the happier they are to invest. There’s a rule in marketing, and it’s that you promote your most successful content. If something does well on its own, it’s worth you investing money into it to make it go even further. You do not waste money on a sinking ship. If your book sales are already paltry, it’s highly unlikely that publishers will reach into their pockets and promote it for you to try and fix this. The margins in publishing are small. They’re therefore going to promote the books already doing pretty well. When you self-publish, all the successes and failures are your own. That’s part of what I like about it. I’ve learnt far more by pursuing this path than I would have by pursuing traditional publishing. And if I had gone down that route, I may still be waiting for my first book to be published. The traditional publishing world moves at a snail’s pace once it has your book in its hands. But its trends move fast. If you’re pitching something to agents and publishers that’s popular now, you’re already two years behind. Books do not sell themselves. There is no magical fairy that will find your readers for you. If you don’t give readers a reason to read your book, they’ll just go and read someone else’s. There are millions of books published globally every year. You have to do something to stand out. Doing all of this is not cheap. In fact, I’ve made a loss every year since I started self-publishing. Self-publishing is the reason I’m broke. Had I not pursued this path, I could’ve gone on a whole lot more holidays in the last couple of years. So, if you want to self-publish but don’t want to a) market your book and b) miss out on holidays, think again. You put your book out into the world, you get all excited, you even host a launch. But once the book goes live…well, what did you expect to happen? You won’t get your payments from Amazon for a couple of months, and if you publish on Kobo or Draft2Digital, you have to reach certain thresholds before they’ll pay you. For Kobo this is $100. I’ll be Nan’s age before I make that much on Kobo. When you have a small platform, anything below a 5* review won’t just damage your sales, it will kill them. Think about it—you have a few hundred, maybe a few thousand followers on social media. You get a few hundred hits to your blog each day. No one really knows who you are. So the easiest place for people to find you is on Amazon. You can include all the keywords you like in your book description, but it won’t make any difference if one person decides your book isn’t for them and leaves a negative review. Yes yes, I get the part about it balancing out all the smushy stuff. But when presenting results to people, Amazon only cares about a book’s popularity, and when you don’t have money to throw at advertising, reviews are a free way to increase your exposure. Say you’ve got a book with one 5* and one 3* review. The average for that book is 4*. Someone has written a book in the same genre and it has one 5* review. That book with just one review will rank higher in search results than your book with two reviews. If you write in a competitive genre, reviews are even more important. Even if you have a great 5* review, if the next one that comes along is a 1* review, Amazon will give your book a 3* rating and it will practically disappear off the face of its search results. So, next time you go to rate a book on Amazon—particularly a self-published one—take a moment and think about how that review will affect the author. Because, while you may feel a 4* review is positive, if that book doesn’t have any other reviews, you’re one click away from killing its sales, and with it, a little piece of its author. Many writers take the hybrid approach. Some of their books are published traditionally, while others are self-published. This gives them the best of both worlds. There’s no reason you can’t adopt this method, too. If you’re not willing to work on your book marketing, you may be better of pursuing traditional publishing. However, there’s no guarantee that this will mean that you don’t still have to do at least some marketing. The bigger your author brand, the bigger your advance, and the more books you’ll sell. Whatever publication path you pursue, you need to WORK. You need to work as hard as you can, and then some. You need to be like a cheetah chasing its prey. The only difference between you and the cheetah is that you’ll never catch your prey. You’ll never reach your end goal. You’ll always have to keep learning, always staying ahead of the curve, because, right now, the literary world is changing faster than ever. And that’s great. So long as you’re willing to work at it. And if you’re not, well, there are plenty of jobs out there for you if you don’t want a career. You exposed a topic I’ve been thinking about a lot recently. 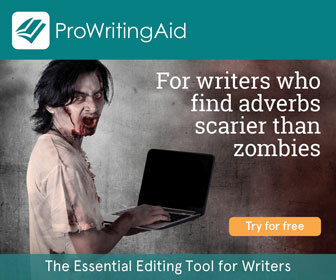 Well, what writer haven’t and doesn’t? I am writing two books which I plan of publishing in the near future and one is suitable for traditional publishing, while the other, a memoir, is more apt to be self-published. I read about Amazon algorithms and, thanks to a blog post on The Creative Penn, which you cite at the beginning of your article, I saw what people look at the most when searching books on Amazon. That’d be the cover, the description and, as I recall, the “People also bought…” section. I also read an article once, written by a fellow writer on Medium.com, which explained the technical path to make a book a bestseller on Amazon and I was simply flabbergasted (yeah, I hadn’t used this word in a while) by the absurdity and the stunning and horrid simplicity of that method. Now your article comes along and while I admit that little out of it is novelty to me, you convinced me of one thing; algorithms killed writing. Yes, because that’s what you are talking about. Let alone the work one has to go through in order to have their book published, be it traditionally and self-published (and all authors are aware of this, at many levels) but once the book is out there, the author has to dance his/her way through marketing laws dictated by engines and publishing laws that guarantee nothing. Whatever happened to the art? Is good, excellent writing worth nothing at all? I am asking rethoric questions, but you get the point. Besides, it is a good thing that, alongside giants like Amazon and the infinite army of small, independent publishers and self-publishing services, there are realities like Medium, where authors can really express themselves and earn money to do it. I don’d doubt that successful Medium writers earn more money than fiction writers who self- and/or traditionally publish their work on Amazon. That’s an interesting way of looking at things, Alessandro. I’m not sure I agree, though – publishing has always been a competitive industry. Even before the internet authors still needed to find ways to stand out from their competition. Marketing departments had to work out which section of a shop or library a book fitted into best, and picking the wrong one could kill a book’s sales (and indeed, still can), just as quickly as an algorithm. The only difference now is that people can search for the books they want online, meaning that it’s easier to find lesser-known books and authors. Before the days of internet and TV, authors reached more people with book tours. These are still used, but mostly by already well-known and traditionally published authors because they’re a big cost (and risk) to publishers. For lesser-known authors book tours aren’t the best way to get the word out any more: the internet is. Marketing has always made the world go ’round, it’s just that we’re more aware of it and marketers are having to become increasingly creative in order to stand out. I can’t comment on how much writers on Medium make (it’s not an avenue I’ve explored myself yet), but given how small the margins are in book publishing, it wouldn’t surprise me. Thank you for this insightful article, Kristina. I recently self-published a children’s book, and I’m learning that it’s one thing to create the book itself, and another thing entirely to market it. Both are fun and exciting and difficult in their own way, but they are completely different skill sets. Also, self-publishing means you have to own the entire process, start to finish. If something goes wrong (and something will go wrong), it’s up to you to fix it. There’s no hand-waving “I’ll just let the published deal with that” excuses. In my case, due to a technical snafu, the final digital files that were sent to the printer didn’t have the title on the cover. So the entire first print run was title-less. Gasp! But I sorted it out and got it fixed by adding a dust jacket. Finally, I’ve learned that even considering all of the above, as a self-published author, you’re not alone. Family, friends and colleagues are often willing to help you think things through, take on part of the workload, and chip in with invaluable ideas. I have several books published with a publisher, and one I self-published. Yes, self-publishing is hard work, but I enjoy the freedom I have to make decisions about my book without consulting someone else. I know I don’t use my contacts well enough, though. I use my blog, facebook, twitter etc, but talking to people and asking their help I find extremely difficult, not wanting to come across as pushy or boastful. Friday Roundup – 11th May | Stevie Turner, Indie Author. So you tell us repeatedly that you’re broke. Why do like self publishing? If you can’t make a success of it, why are you giving advice on it? Sorry that sounds harsh, but your title made it sound like this would be a helpful read. Because there’s more to life than money. To make serious money self-publishing is a long-term game and requires having many, many books published. It’s a quantity as much as a quality thing. A lot of people quit before they get to that point, thinking that one book will change their life. And you know what? It will. But it will change their mindset, not their bank account. Does it need to be as intense as you make it sound here? Felt my heart rate increase towards the end lol. As far as I’m aware most successful writers just have a sinecure or profession and then write on whatever interests them in their spare time. I mostly agree, though I disagree about the so-called myth that self-published books are of lesser quality. In my experience, there’s a ton of utter rubbish out there that’s self-published. We’re talking books that wouldn’t receive a passing grade from a high school English teacher, let alone get through the very first gatekeepers in trad houses. Two great examples. Recently on Kboards there was an author trying desperately to figure out why his book wasn’t selling. I read the preview on Amazon, and oh my it was god awful. So so so bad. Another example is a self published author now on his second epic fantasy novel. I enjoyed the first, but the second I couldn’t even finish because of the writing quality. Thing is, if it had been seen by more eyes (or by a better editor), like it *might* have with a trad publisher, the book could have been so much better. I’m an editor and all I wanted to do was break out the red pen when reading it. Now, there’s a ton of traditionally published books that aren’t up to snuff either, so it’s not as if trad publishing is a guarantee of quality. That said, I’ve rarely seen an indie published book reach the heights of a quality trad book. Not saying indies cannot match trad quality, but it’s a rarity in my experience. I’m not trying to bash indies. I intend to go that route with my first novel. But the level of quality in the indie realm is quite troubling to me. Maybe it’s my genre (epic fantasy) but while I keep hearing people say that quality doesn’t correlate to indie/trad published, my experience is that the vast majority of indie published books ARE of lesser quality, even if trad publishing is not a guarantee itself.